When I first began preaching, I had a lot on my plate. This forced me into efficient sermon preparation because the alternative would have been a mild form of disaster. I was two and a half months into Bible college and a year and a few months old as a Christian when I preached my first sermon. From there, I was preaching every Sunday evening for a period of a few crazy months. I was the new part-time youth minister and was now in charge of a Sunday evening service as well. On top of that, I was taking 18 credit hours in Bible college and trying to figure out what youth ministry looked like – I had no clue what youth ministry was supposed to be because I didn’t grow up in the church. A whole lot of new was coming into my life at a rapid pace. I had to be efficient at sermon preparation, otherwise, I would have had a hard time getting everything else done. The step-by-step approach below wasn’t figured out in those early days of my ministry. Back then, I had no idea what I was doing (and still today, I feel the same way most of the time). But over the years, I’ve developed a process that works for me and odds are, most of it can work for you too. Quick note: go to God in prayer throughout this process. I don’t see prayer as a step, as it should be constant throughout. I wholeheartedly believe in an exposical approach to preaching (a blend of both expository and topical) where you always have a main Bible passage and maybe (I really mean maybe) have one or two supplemental texts. To preach a biblical sermon, it’s important to know how your main Bible passage fits into the overall context of the specific book of the Bible it is within as well as the Bible overall. For example, if you’re preaching John 13:1-20 where Jesus washes the disciples’ feet, you’ll want to read John 12, the rest of John 13, and all of John 14. For passages in a smaller book of the Bible, like Colossians, take the time to read the entire book all the way through. If you were asked to re-word and summarize the passage you are preaching on, what would you say? Write that down. Are there a couple of key verses in the passage? Write them down. Sometimes it also helps to create a passage outline. By breaking down the passage in an outline form, you may find that it is easier to see the arc of the passage and the flow of the author’s thoughts in a better way. I highly recommend you check out the Bible tools listed in the list of 7 Online Sermon Preparation Resources You Need. They will save you money and save you time. At this point, we only want to look up what we don’t understand in the passage. We’re not digging deeper on the entire passage right now. Remember, we want to stay efficient. This step requires some imagination because the biblical text doesn’t always tell us. But if you want to preach in a way that places people in the text, it helps to consider the emotions of the text. Here, we’re seeking to show the congregation the text. Put them in the first Century or prior. Let them feel it. For more on this step, I dive deeper in How to Powerfully Preach a Narrative Passage. I believe that every opportunity you have to preach is an opportunity to preach the gospel. Every passage of Scripture has a connection to Christ and our need for Him. Here’s how to do this: 3 Simple Steps to Preach the Gospel No Matter the Passage. How have you seen the passage’s main point play out in your life? Do you have a story where you experienced the same kind of emotions the people in the passage were (possibly) experiencing? Write down anything that comes to mind. This is where everything comes together. How will you take what you have discovered about the text and how it relates to life and, most importantly, the good news of Jesus Christ and communicate it? I have six parts to my outline: Engage, Tension, Truth, Application, Inspiration/Action, and Action/Inspiration (the order of the last two are interchangeable). 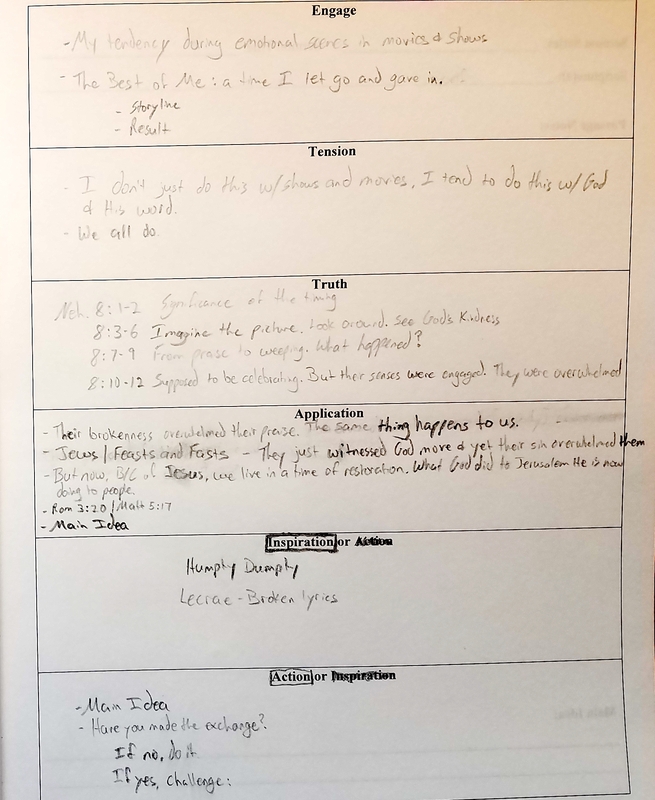 The great thing about this outlining method is that it gives the sermon a flow that is similar to a story structure. More on that: Improve Your Preaching: How to Structure Your Sermon Like a Story. 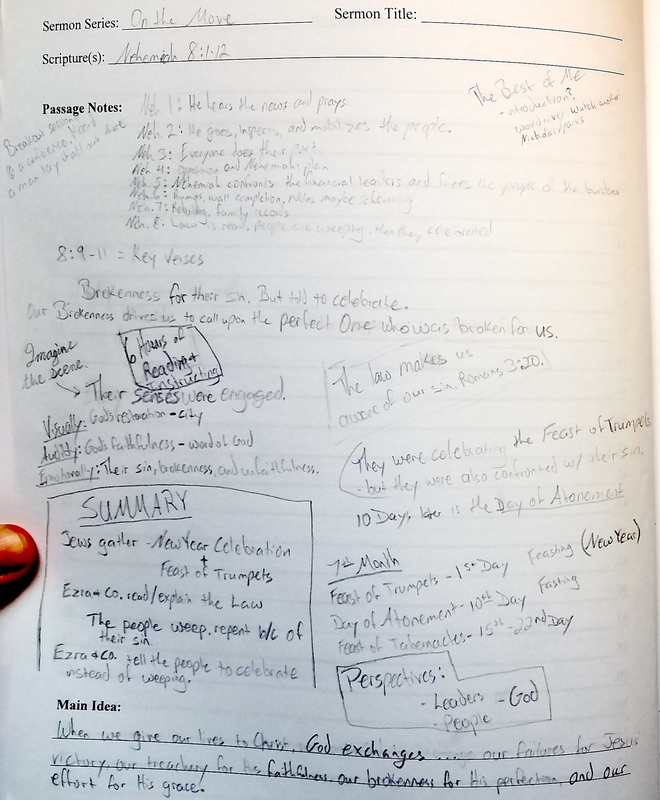 I manuscript my sermon (but I don’t preach from the manuscript – more on that in step 10). You may not. That’s okay, but if you don’t, consider these 4 reasons why manuscripting your message is a must. I can write a 3,000-3,500 word manuscript in three hours. For me, this isn’t a crazy fast pace or a super slow pace, but a comfortable one. Two tools I use when writing my sermon that help me write the manuscript efficiently are Brain.fm and a Pomodoro timer. Learn more about them here. This last step may not be the most efficient step in terms of time, but it is vital for me. I don’t preach from my manuscript, but I do use some notes on my iPad mini when I preach. With two windows of Pages (Mac’s version of Word), I proceed to copy and paste key phrases and headings to a document that will turn into my preaching notes. My goal is always to have as little of notes as possible with me when I preach so I cut and cut and cut when it comes time to go from manuscript to preaching notes. Now, all that is left is to preach! We strive to be relentlessly helpful to you and the entire RP community. 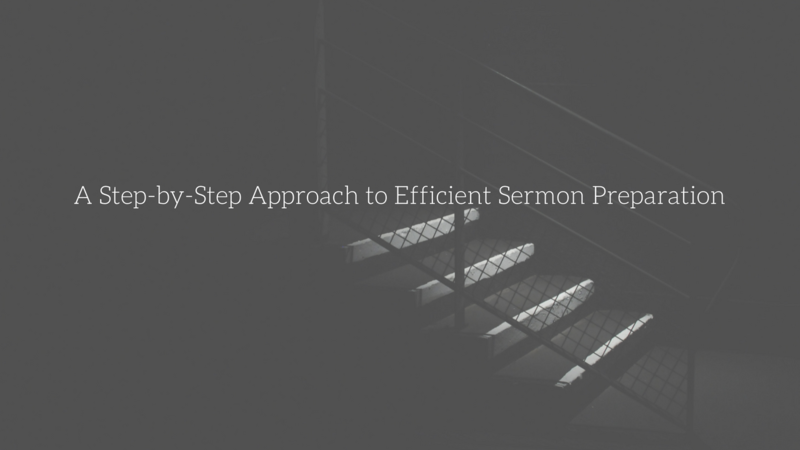 And it’s with that heart and motivation that we created two resources that we believe will help you not only be more efficient at sermon preparation, but that will help you preach better overall. Sticky Sermons Notebook is a full 8.5″x11″ notebook that is designed to make your sermon prep easier and more efficient. 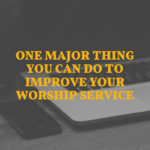 In addition to the notes and outline pages that you can see in the article above, there is also a place for you to list your sermons for the entire year as well as pages for you to plan and design your sermon series for the year. It’s a one-stop sermon preparation resource. I don’t know of anything else like it on the market today. 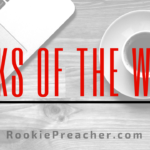 What Does Your Sermon Preparation Process Look Like? These book links are affiliate links which means if you purchase a book through one of the above links, I’ll make a few pennies or so from it.